The Ironman Gravity Inversion Tables are a great choice for anyone interested in giving inversion a try. They are well constructed and there is one for most budgets. With the ever growing popularity of Inversion Therapy. The Ironman brand of inversion tables have emerged to be among the front runners of the industry. 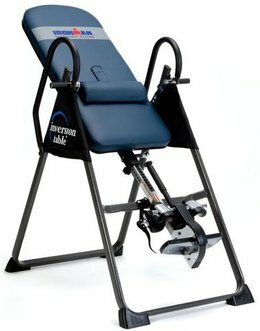 My first inversion table was the Ironman Gravity 1000. It was my introduction into the world of Inversion! I have two herniated discs in my lower back, and I will never forget the day I found inversion. Suffering from chronic back pain daily, I was no longer living. At that point I was just existing, grinding through each day. Due to my injury I had basically become a couch potato. That all began to change when I started using inversion! After just the first week I was up and walking the dog again. Things have only gotten better for me since then and it all started with my Gravity 1000! 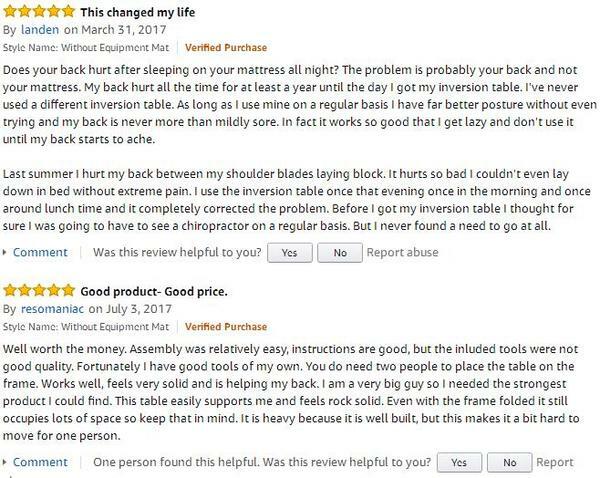 The use of an inversion table has helped me reduce and almost eliminate my lower back pain and discomfort. Coupled with a light workout routine I have been able to regain an active life, and I could never put a price on that! Because of the result I have had using inversion. I have become a bit of an advocate you might say. So I want to share some thoughts on the benefits you might receive if you are considering inversion for yourself. I say “might” because everyone’s experience and journey is different. Although Inversion Therapy has helped me and millions of others. It is not a “fix” and in some injury cases may not have any effect at all. After all an injury is an injury. That said, inversion can help reduce the stress and strain put on your vertebrae. Helping to eliminate the pain and discomfort of your discs and ligaments. Thus giving you better flexibility and mobility. Through different research studies and hundreds of thousands of personnel testimonials. Inversion therapy has proven to work. 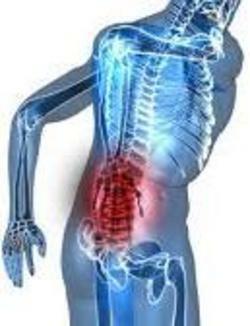 It has helped people suffering from a number of back pain aliments. If you are suffering from any of these aliments Inversion Therapy just might be what you need! A big thing to keep in mind is to not expect to much. 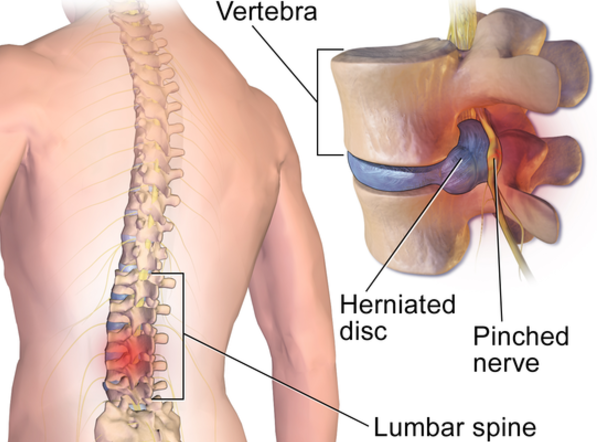 If you live with back pain than you know any relief is welcomed. Used as part of a comprehensive treatment program, inversion can certainly help you get your life back! Since I have owned one of the Ironman tables, and since this is a health and wellness site. I thought I would write this article to help you decide if an Ironman Inversion Table is for you. If so which one? Moving forward I am going to turn this article into an Ironman Inversion Tables Review. We are going to take a look at the 3 top selling inversion tables from the Ironman Gravity Series. Based on the fact that you are here. I already know you want to get into Inversion Therapy. So let’s find out if this is what you are looking for! Ironman Gravity Inversion Table Features! Getting started with our look into the Ironman Gravity Series. I am going to cover the standards and similarities first. This will eliminate the need to repeat a lot of the general information. Following this segment we will get into the specific features of each of the Ironman Gravity Inversion Tables. I am going to also show you where you can get the best deal should you chose Ironman! Every Ironman Gravity Inversion Table is constructed with the same quality craftsmanship. Each meeting the same standard of construction for your safety. The platform is the same, it is the bells and whistles that set them apart. Here is a look at the foundation of each of the Ironman Gravity Inversion Tables. Built with a durable tubular steel frame to ensure your safety and comfort. Scratch resistant powder coated finish to keep it looking good. Accommodates users from 4’10” to 6’6″. Tough rubber non-skid floor stabilizers for traction while inverted. Extra long safety handles to provide easy return to the upright position and aid in stretching. Ergonomically molded ankle holders to provide comfort and security. Each model folds for easy storage. Each of these models invert up to 180 degrees. So that is the foundation of every single table included in the Ironman Gravity Series. Now we will move on to the individual models and explore the differences between them. Ironman Gravity 1000 Inversion Table! In my opinion we should start with the table that put the Gravity series on the map. The Ironman Gravity 1000 Inversion Table. It still remains one of the Ironman’s best sellers and for good reason. It does the job well and remains to be a budget friendly favorite! While there is a Gravity 750, the 1000 is where the Gravity Series earned it’s wings! The Ironman Gravity 1000 contains vast improvements over the 750 making it the building block from which the Gravity Series has developed. Foam Covered Backrest: The backrest consists of tough nylon that is extremely durable, yet comfortable when the table is in use. Vinyl Safety Covers: These are to protect you from the moving parts. Nylon Backrest: This is extremely durable, yet comfortable when the table is in use. Spring Loaded Ankle Locking System: This is to ensure your utmost safety. 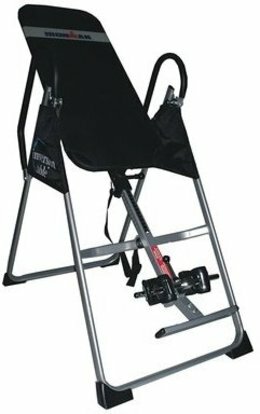 300 Pound Capacity: The Ironman 1000 can safely support a person up to 350 pounds. Secure Safety Tether: This tether allows you to control the angle of your inversion. Current Price: $149.00 & FREE Shipping Eligible. Financing Options: The Ironman Gravity 1000 is available for financing with the Amazon.com Store Card. Domestic Shipping: Currently this model can only be shipped within the contiguous 48 United States. Other Sellers on Amazon may ship this item to Alaska, Hawaii. Average Customer Review: 4.4 out of 5 stars from 815 customer reviews at the time of this article. Amazon Best Sellers Rank: #80,171 in Sports & Outdoors. Warranties: All Ironman Inversion Tables come with a full 1 Year Warranty. Product Dimensions: The Ironman Gravity 1000 measurements are 49 x 25 x 62 inches and weighs in at 46 pounds with a shipping weight of 61 pounds. Safely supports people up to 300 pounds. Well there you have it. That brings us to the end of our look into the Ironman Gravity 1000 Inversion Table. As you can see this product delivers high quality at a great price! Check out this short video on the Ironman Gravity 1000. This is a great way to see the Gravity 1000 in action. It will also give you a chance to see all of the great features that await you! Here is what a couple of Ironman Gravity 1000 customers have to say! Ironman High Capacity Gravity 3000 Inversion Table! Moving on from the Gravity 1000, we are going to jump ahead to the Ironman High Capacity Gravity 3000 Inversion Table. This inversion table remains one of the best selling models around! The Ironman Gravity 3000 Inversion Table is built with the same high standards of the Gravity 1000. However it has some amazing upgrades to enhance your user experience! Memory Foam Backrest: Ironman gas added 2 inches of relaxing memory foam for your comfort. Foam Roller Ankle Cuffs: This combination holds your ankles securely yet comfortably. Inverting hand grips: these grips are to aid you with inverting and returning to the upright position . Ratchet Ankle Locking System This patented design makes securing you ankles easier with it’s longer handle and ratchet locking system. 350 Pound Capacity: The Ironman 3000 can safely support a person up to 350 pounds. Current Price: $229.00 & FREE Shipping Eligible. Average Customer Review: 4.4 out of 5 stars from 300 customer reviews at the time of this article. Amazon Best Sellers Rank: #153,806 in Sports & Outdoors. Product Dimensions: The Ironman Gravity 1000 measurements are 52 x 29 x 9 inches and weighs in at 82 pounds with a shipping weight of 86.7 pounds. Safely supports people up to 350 pounds. Just tip on back to relieve back pressure, elongate your spine and increase your blood flow to tired muscles. Comfortable and easy to use the Ironman Gravity 3000 delivers an amazing inversion experience in the comfort of your own home! Check out this short video on the Ironman Gravity 3000. This is a great way to see the Gravity 3000 in action. It also gives you a chance to see all of the great upgraded features that it has to offer you! Here is what a couple of Ironman Gravity 3000 customers have to say! Ironman High Capacity Gravity 4000 Inversion Table! Okay now that you know everything about the Ironman Gravity 1000 and 3000. It is time for us to move on to the final stop on our tour of the top selling Ironman Gravity Inversion Tables. I would like to present to you the Ironman High Capacity Gravity 4000 Inversion Table! This is the top of the line for the Ironman Gravity Series. Easy Reach Palm Activated Ankle Locking System This patented design makes securing you ankles easier with it’s longer handle and ratchet locking system. PVC Equipment Mat: This foldable and water proof workout mat is for floor protection and noise reduction when exercising. Average Customer Review: 4.7 out of 5 stars 3,131 customer reviews at the time of this article. Amazon Best Sellers Rank: #4,556 in Sports & Outdoors. Product Dimensions: The Ironman Gravity 1000 measurements are 49 x 26 x 65 inches and weighs in at 75 pounds with a shipping weight of 86 pounds. Safely supports people up to 350 pounds. Well that wraps up out tour of the Ironman Gravity 4000 Inversion Table. Once again Ironman has taken their Gravity Inversion tables to another level! Check out this short video on the Ironman Gravity 4000. This is a great way to see the Gravity 4000 in action. It also gives you a chance to see all of the great upgraded features that are included! Here is what a couple of Ironman Gravity 4000 customers have to say! Why Ironman Gravity Inversion Tables? Ironman Inversion Tables are among the best crafted machines going today. They are a heavy duty and stable platform for inversion. In addition to that they are budget friendly! Here is where you can get your Ironman Gravity Inversion Table Today! I used my Gravity 1000 for two years with no troubles at all. So if you are looking for a low cost and durable inversion table. 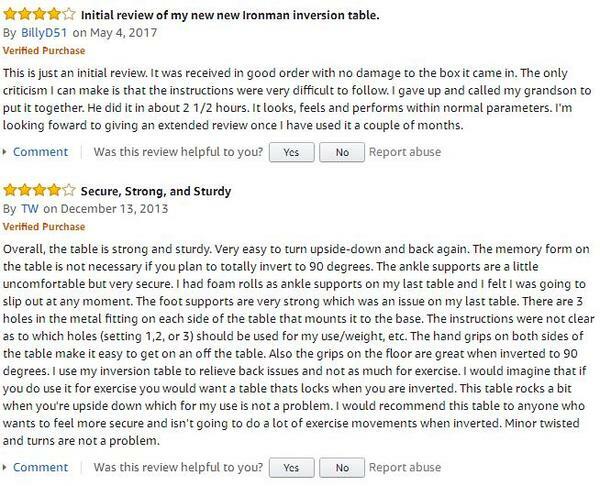 I would certainly recommend that you consider the Ironman Gravity Inversion tables. While I have moved on from the Ironman brand. They remain to be a great choice in my opinion. 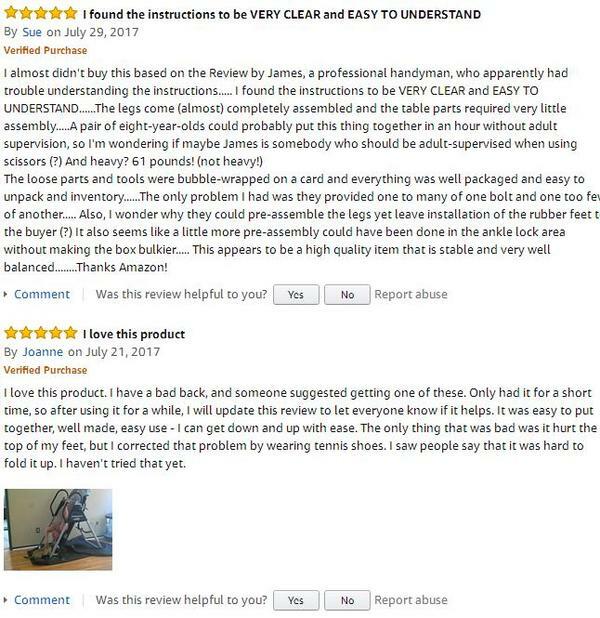 I personally give them a 4 Star Rating overall for quality and ease of use. Click here to see my Top Choice and the inversion table I use myself. *Note: Inversion is not recommended for people with High Blood Pressure, Heart Disease, or Glaucoma. Furthermore you should always consult with a medical professional before starting any new routine concerning your health. Thanks For Visiting MyBodyMyMind.net Today! If you have any questions or comments about the Ironman Gravity Inversion Tables. Please feel free to leave them in the comment box located below for the fastest response. 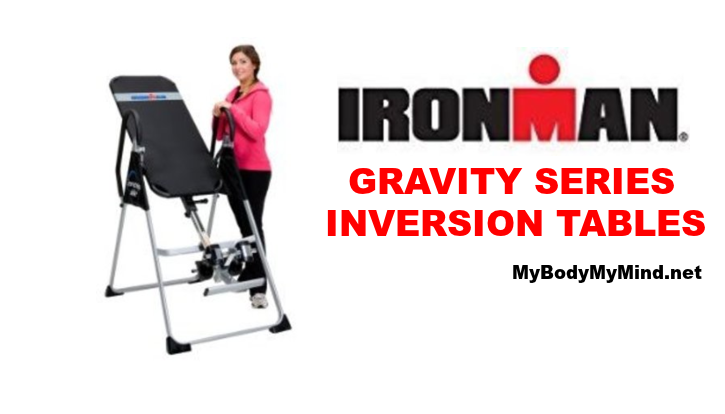 Thanks for checking out my article: Ironman Gravity Inversion Tables – Learn More! Previous Post Previous post: Compare Teeter Inversion Tables – Here’s Your Best Option! Next Post Next post: Teeter Dex II Decompression And Extension Machine! I had no idea that inversion tables were so affordable. I thought for sure they were all in the 1000s, and it’s awesome to see I can get one for under $200. I need to start doing this, because everything else I’m doing isn’t working for my back pain. Our ancestors did a lot of climbing and swinging from trees and this is the world our bodies developed to live in, not the world we have now where sitting and hunching over is the norm! You are correct that in today’s world we do spend a lot of time sitting and hunched over. Inversion is a great way to help combat the effects of all of that sitting. The Ironman Gravity Inversion Tables are a great choice for anyone looking to add inversion into their life. They are very durable and affordable making them perfect for any budget! Many people think that inversion is only for people with back problems. However this is not true! Inversion can help everyone to be honest. We all need a healthy and strong back to maintain quality of life. If you are seriously looking to get into inversion, the Ironman Gravity Series is the place to start! 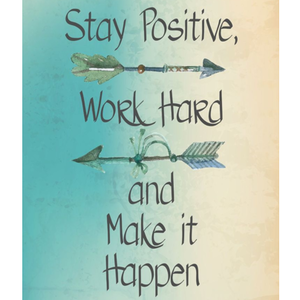 Penelope, thanks for youe thoughts and best of luck to you. Please let me know what you decide and how it goes for you! Great article on the benefits of inversion tables and especially the great recommendation for Ironman inversion tables. My timing on reading this is perfect. I was having a conversation with my brother in law last night and he was telling me about his lower back issues and I asked him if he’d ever tried and inversion table. He hasn’t so I am going to recommend he check out your website and suggestion. Thanks again for the great timely insight! Definitely get your brother in law introduced to the world of inversion! It has helped me live with two injured discs in my lower back as well as many other people I have met along my own journey. The Ironman Gravity Inversion Tables are a great place to start! They are built very well and they are also budget friendly. 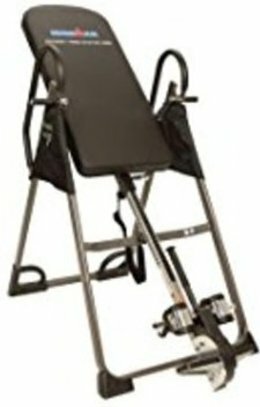 My first inversion table was the Ironman Gravity 1000. I used it everyday and loved it! Inversion has helped me get my life back, and I could not put a price on that. Mat my suggestion for your brother in law is to grab one of these inversion tables and give it a try. If he uses it regularly, and sticks with it, he could see a dramatic difference in his pain and discomfort. Just have him start out at an easy pace. Use a 60 degree inversion angle for two or three minutes once a day at first. Keep in mind that it may seem uncomfortable, but once your back gets loosened up the effects can be amazing! It takes a few uses to get comfortable with inversion, no big deal I promise. Once he is more use to it he can gradually increase the angle and length of time he is inverted for. Best of luck to your brother in law Mat. Thanks for reaching out and hope to hear from you again soon!